That’s why today, we’re here to recognise the Top Mechanics in Melbourne. In 2018, AutoGuru partner mechanics in Melbourne quoted over $14 million worth of services and repairs for AutoGuru customers, to help them better care for their cars. We’re here to recognise the Top Mechanics in Melbourne, who went above and beyond to consistently deliver amazing service experiences to their customers. Taking out the top spot in Melbourne is Princess Motor Repairs, headed up my Klement. Klement has a bucket-load of experience in the automotive industry, and has been running his workshop since 1986! With over 120 reviews and an average star rating of 4.8, you can expect the very best service from the awesome crew at Princess Motor Repairs. With over 130 reviews on AutoGuru, ABS Collingwood has proven time and time again that they provide an awesome service experience. Take a look a this great 5-star review. The crew at Midas Kew have earnt over 100 great reviews on AutoGuru from their customers, including this awesome 5-star review! 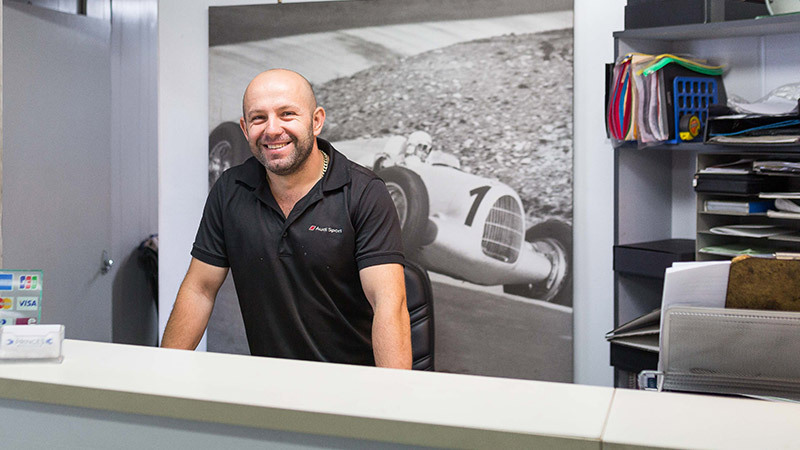 Michael and the friendly & fully qualified team at Rapid Tune Chadstone are located on Dandenong Road, Oakleigh, close to Hughesdale, Huntingdale, Murrumbeena, and of course Chadstone. Michael has over 25 years industry experience, and Workshop Manager Rhaisa Horvath with over 3 years in store experience. Rapid Tune Chadstone works on all makes and model of cars, performing log book servicing, safety inspections, brakes, clutches, engines, Roadworthy Certificates, suspension, battery replacement, engine diagnostics, Tyre Replacement, Wheel alignments and much more. With an average star rating of 4.6, Rapid Tune Chadstone has proven that they deliver a great service experience. Euroline Auto Service is known for providing an excellent, customer-focused service centred around ease, convenience and cost-effectiveness. Nirmal Dhillon and the team are focused on finding ways to improve car servicing and repairs for their customers. They offer efficient and value driven car servicing and repairs for all makes and models, whilst specialisations in European brands. Euroline Auto Services has been in operation for over 10 years, and their wealth of experience helps them deliver the highest quality possible. With over 140 reviews and a 4.8 average star rating, Euroline Auto Service is definitely a great choice! Specialising in all mechanic repairs and all makes and models, John and the team at Highpoint Muffler & Service Centre can provide you a precise and comprehensive service experience. The crew takes pride in the fact that whilst staying at the forefront of the latest technology, they still retain complete knowledge of older, classic cars. With the latest diagnostic equipment available, you can be confident knowing your car will get the service it needs whilst in the hands of Highpoint Muffler & Service Centre. Check out one of their great reviews! The team at Western Auto Services are dedicated to providing quality service and growing their reputation as trusted experts in the car service industry. Their fully qualified technicians can carry out anything from minor inspections to major mechanical repairs in an honest and transparent manner. If you car isn’t starting or if it’s unable to be driven, the team has a mobile service which can come to you! Take a look at this great review for Western Auto Services Pty Ltd.
Shaun and the passionate, friendly and fully qualified team can complete a range of services including servicing, engine diagnostics, battery replacement, clutches, suspension, Roadworthy Certificates, brakes, and much more. Their expertise means that Rapid Tune Moorabbin can work on all makes and model of car, with complete and fully up to date equipment. The workshop has maintained a great average star rating of 4.7, and it’s obvious to see that they pride themselves on delivering great customer experiences. Check out this 5-star review! Peter and the team at PMA Auto Works pride themselves on personalised service to make sure your car is well looked after, and that you are given the right advice from the first time. The team consists of expert mechanics, and service all makes and models of vehicle. They’re also European vehicle specialists with over 15 years of combined experience in the automotive services industry. PMA Auto Works know how important it is to maintain a reliable and safe vehicle, and they’re dedicated to maintaining 100% customer satisfaction. Have a look at this awesome 5-star review. Looking for a mechanic in Melbourne?